The Dirty Truth about Procrastination! The procrastinator’s mantra: I can do it tomorrow! The problem is, that tomorrow never comes. Tomorrow is always tomorrow, while today I am having far too much fun doing… whatever else it is that catches my flighty interest. Procrastination or the lack thereof is the dividing line between the successful and the mediocre. You can literally finish that sentence in a number of different ways: in this life, in this world, in business, in trade, and so on ad nauseam. A truly successful person, however, such as a leader in the business industry requires a little more oomph than simply not procrastinating. That type of individual does not wait for opportunities, they make their own opportunities. This is off topic and I will come back to this in another article, but it points out the vast gulf of difference between where a procrastinator is and where most people would like to be. You cannot simply wait to win the lottery, before aspiring to your dreams. You have to start with taking care of the little things and the big things that require your attention, daily. Call it practice. If you can manage to take care of business (personal or otherwise) regularly and practice taking care of things as they present themselves to you, it becomes possible to see and act on those limited time opportunities of a lifetime (No, I am not talking about the frauds who use that phrase to hook you in). For some very good thoughts on procrastination, go to Good Reads: Quotes about Procrastination. Imagine you didn’t do your laundry this week, forgot to vacuum the carpet, and didn’t wash the dishes for several days in a row. Ok, the vacuuming doesn’t get any harder for you to do, if you leave it for a few weeks, but the dirt gets ground into the carpet and becomes impossible to get back out. If you continue on this course, it eventually makes the carpet’s filth noticeable, grimy, and disgusting; no matter how much and how you try to clean it. Don’t forget, dirt eventually gets under the carpet, which will destroy the carpet, the padding (if it has padding), and the floor underneath it. 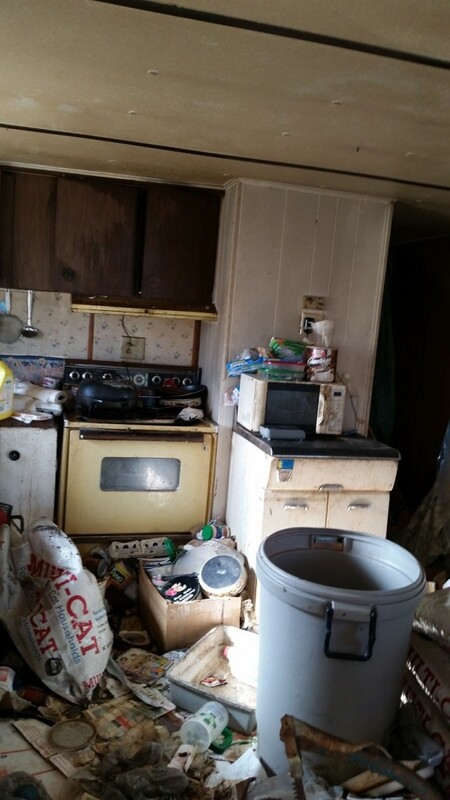 The dishes and the laundry, however, are another (even more disgusting) story. The dirt (and other things) found in laundry and on dishes that have been left to sit unattended includes microbes, germs, bacteria, viruses, molds, and mildews, along with all the other larger critters that take advantage of our negligence, such as ants, cockroaches, silverfish, mice, rats, etc. The longer you go without doing these chores, the harder and longer the job becomes, until it seems the best course would be to simply bulldoze everything and start again. Here is an article that defines The 6 Different Types of Procrastinators – Find Your Type &We’ll Show You How To Fix It. I hope this finds you well and encourages you to defeat your procrastination demons as I hope it helps me with my own! Good Luck! No, the attached picture is NOT my house and I’m not telling who it does belong to.